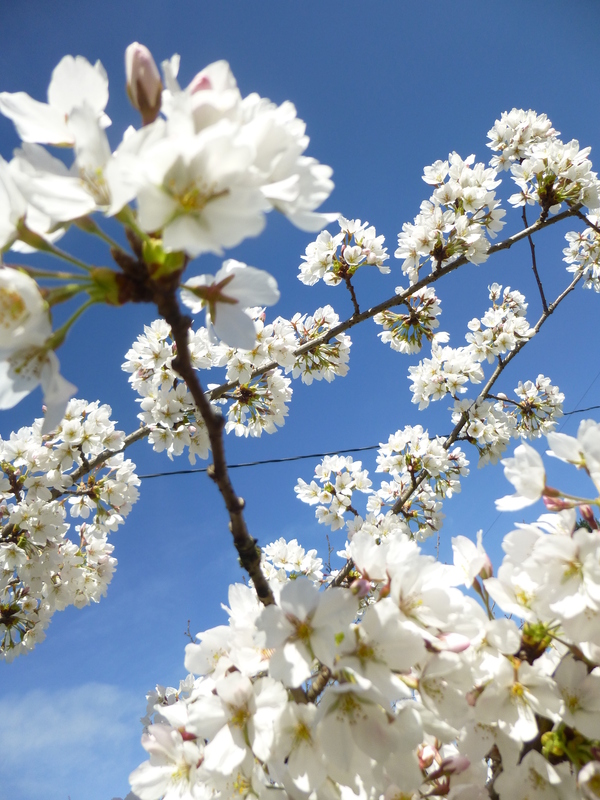 Just like love spring comes with a rush of sweet exuberance. 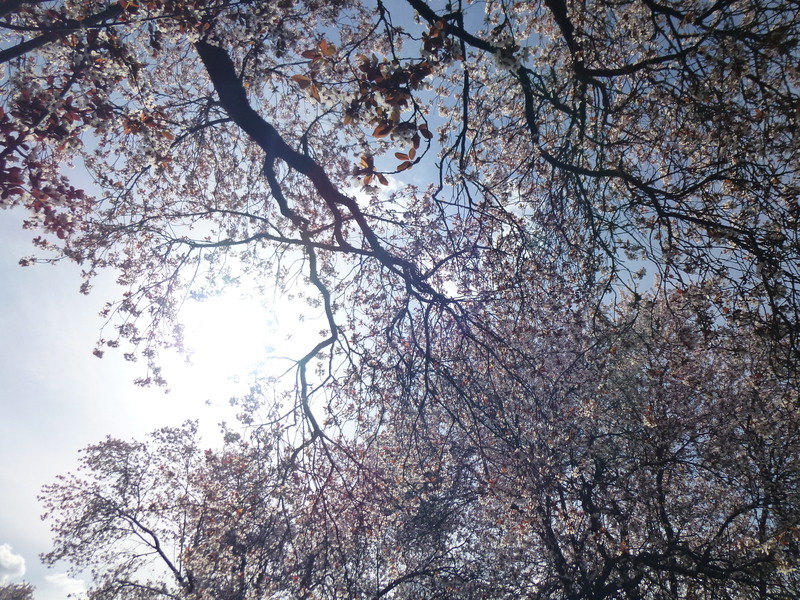 No other season has a hold on me quite like spring. It is wondrous. It is glorious and I am totally and utterly in love with it. Springtime makes me giddy and weak in the knees. Let’s just say I get all “twitterpated” and before you know it I am thrown for a loop….but it doesn’t start that way. Spring is a subtle seducer. It starts with a sign; a small indication that winter is losing its icy grip and this seems to come earlier every year. Crazy me pays attention to these things: I will notice out of the corner of my eye in passing a tiny green shoot daring to poke itself out of the sleeping earth. All it takes is the one and then my eyes are in constant scan looking for other signs of wakefulness. It is the snowdrops and crocus that first appear. These are hardy ones and a little snow and blustery wind of late winter doesn’t bother them. They bloom anyway. As long as the pale sun continues to shine they share their beautiful color with weary eyes tired of the cold bland landscape. I can’t help it. By this time my mind is in a whir. I am all aglow and practically tripping over my feet. Any glimpse of blue in the sky sends me outside no matter the chill. I shiver under the sliver of sunbeam across the back deck and imagine how it will all be in a month or two. The gardener in me is making ambitious plans. This has been happening since late January and little by little I see nature at work in its ever moving dance of life. It is that one morning that really does it; I am awakened by an optimistic sunshine that streams through the slats of the blinds. It tickles my eyelids and slowly and playfully beckons me to wakefulness. I linger near the edges of lucidity, between reality and dreams…but it is the faint sound of birdsong that lulls me to full arousement. How could I not be happy waking up like this? How could anyone? Spring is a time of renewal. There is a certain optimism in the air; a sort of bouncy happy effervescence and it is infectious. The squirrels have caught it for sure. I can’t help but laugh at their antics. 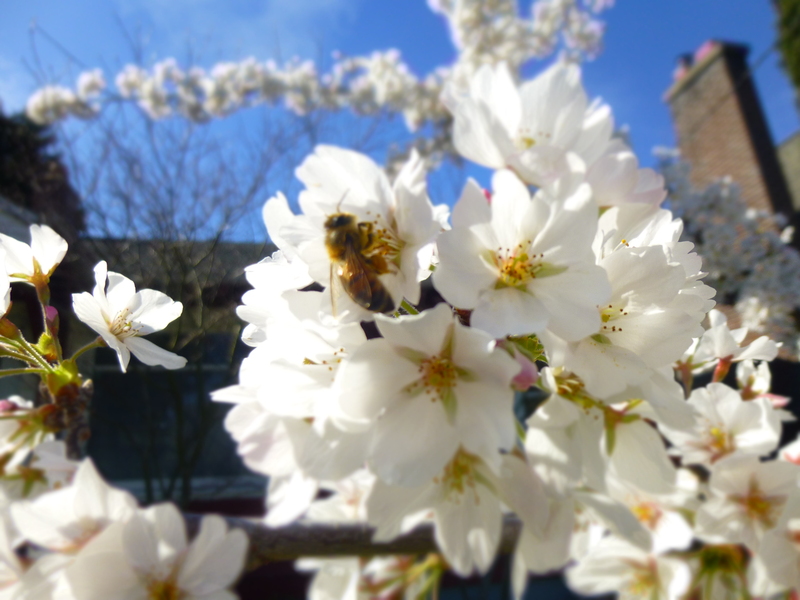 As they chase each other up and down the just about to bloom flowering cherries across the street, they seem caught up in the season as well. The Robins have appeared, a sign of spring if there ever was one. I delight in the way they hop around the yard searching for their breakfast, which they are finding with a gusto; the rains of the night before have softened the earth and beckoned the worms to the surface. This provides an easy meal not just for the Robins for for others as well. I can see four different kinds of birds just outside my window. 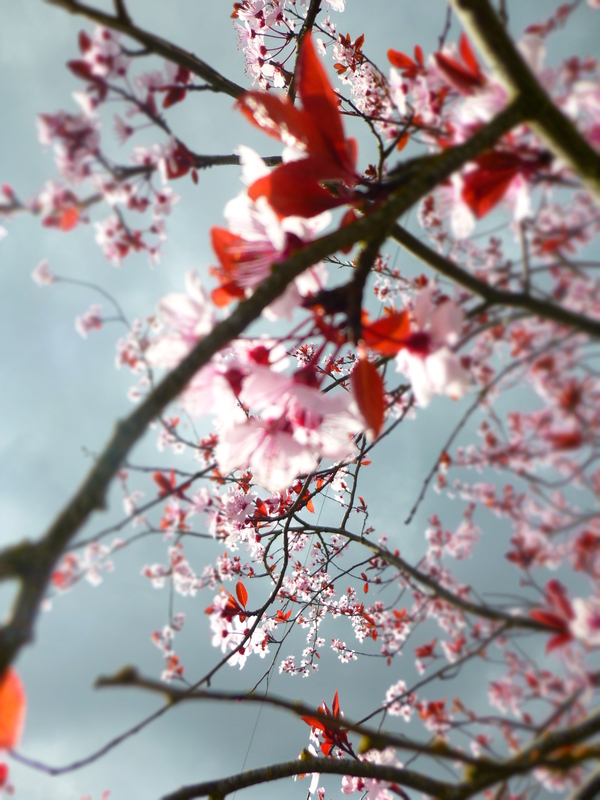 There is a contrast between seasons this time of year; storm clouds and sunbeams clash and provide an interesting backdrop to a flowering cherry in the park down the street. 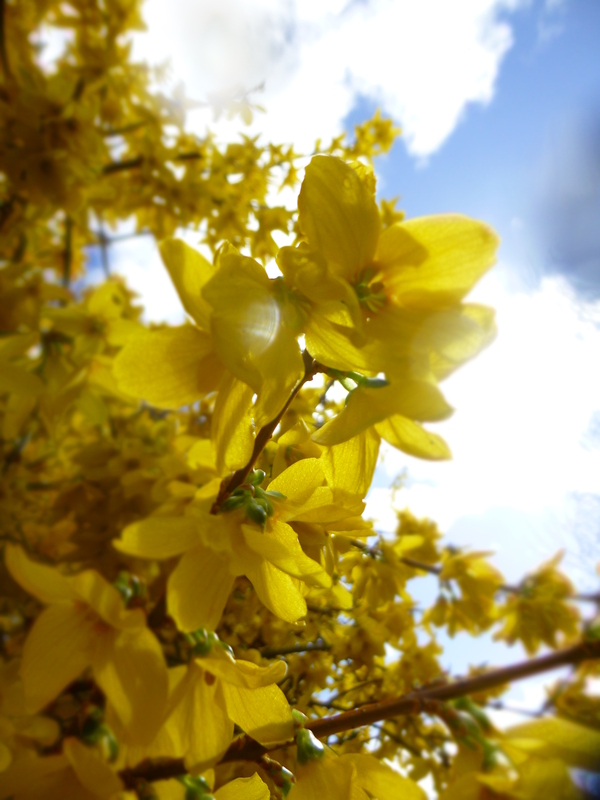 The vibrant Forsythia in my mother’s yard in all it vivid glory. 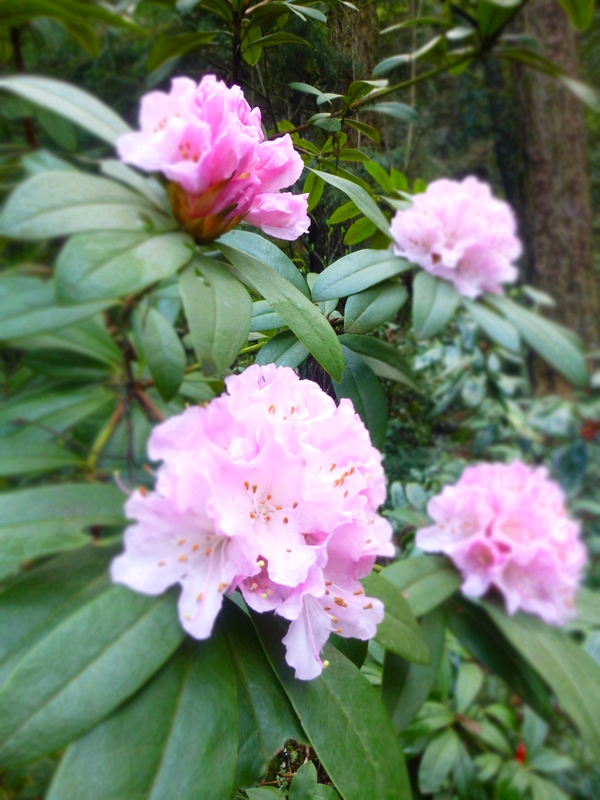 One of the many Rhododendrons in bloom. 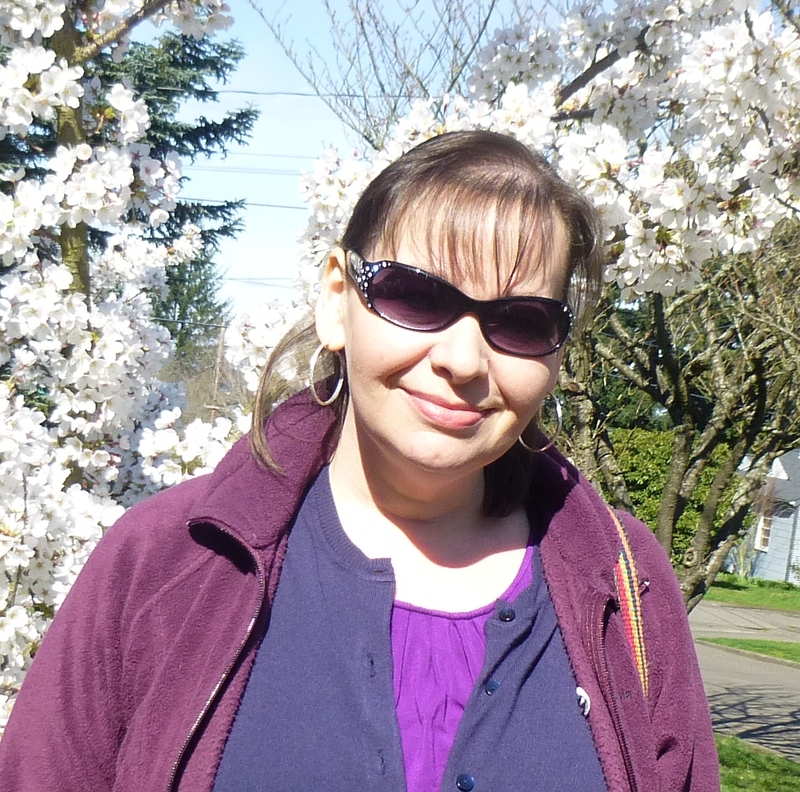 Now that it is officially spring on this side of the hemisphere my love affair with the season can go into full swing. Life is wonderful and so is being in love and in the springtime everything is possible. As usual a nice post.. How could I just leave…. Foolish me…. And here we are heading for winter! Oh what a wide and varied world we live on! Happy Spring Cathy! It’s Finally Here!!! Yay! What a beautiful way to welcome spring, Sb! Is it warmer for you guys now? Hi Amy, Thanks. 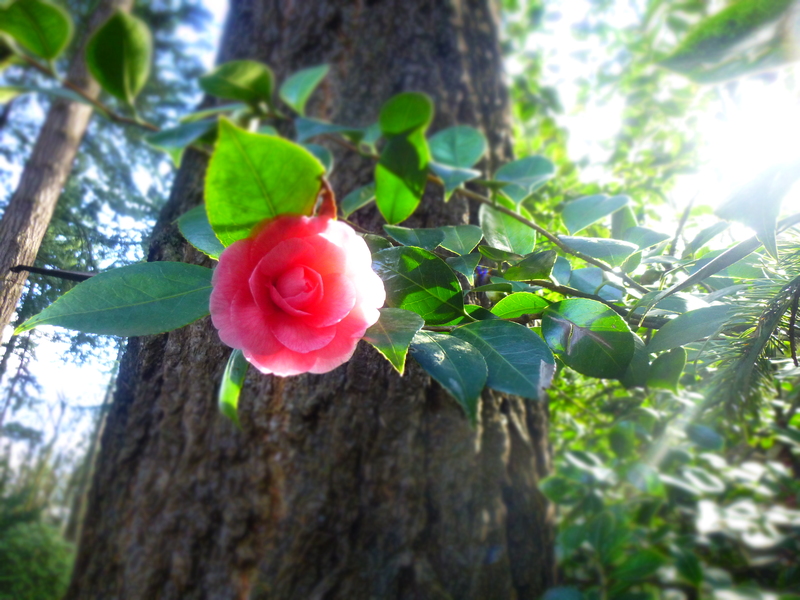 it is getting warmer…finally. Hey Gunta: Yes it is. 🙂 It is early in the season yet and we’ve only just begun.